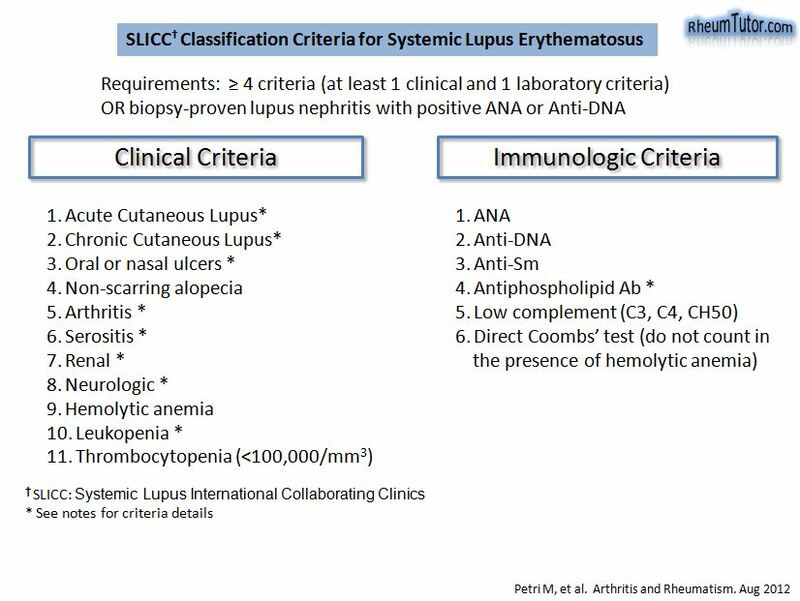 Criteria are cumulative and need not be present concurrently. See notes below. 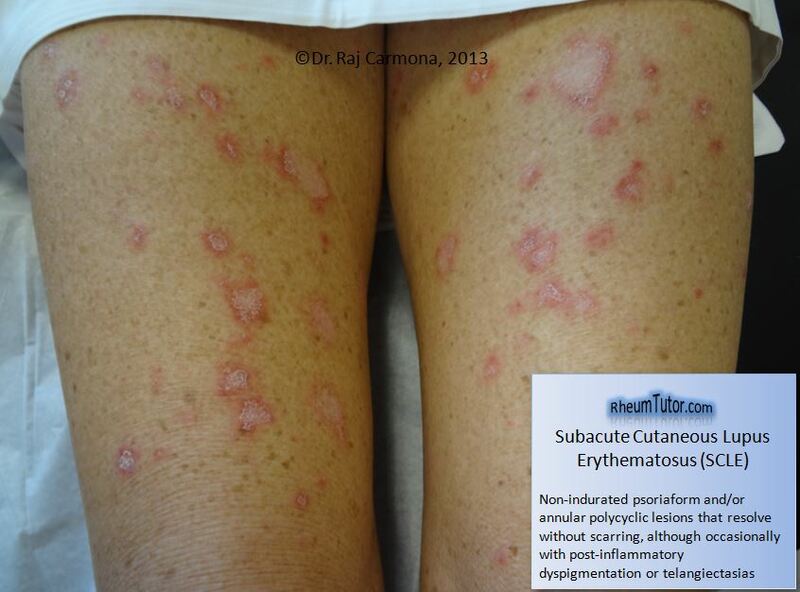 Acute cutaneous lupus: lupus malar rash (do not count if malar discoid), bullous lupus, toxic epidermal necrolysis variant of SLE, maculopapular lupus rash, photosensitive lupus rash (in the absence of dermatomyositis). 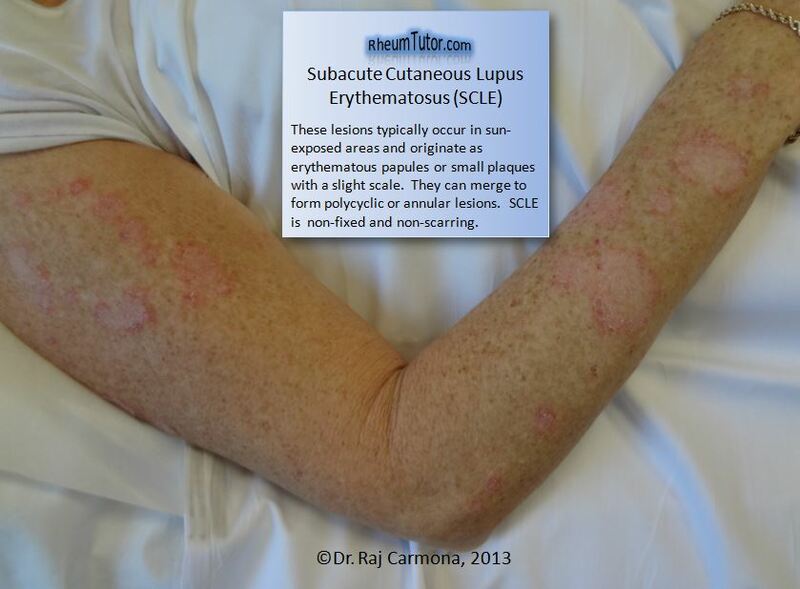 Subacute cutaneous lupus: nonindurated psoriasiform and/or annular polycyclic lesions that resolve without scarring, although occasionally with postinflammatory dyspigmentation or telangiectasias). Classic discoid rash localized (above the neck) or generalized (above and below the neck), hypertrophic (verrucous) lupus, lupus panniculitis (Profundis), mucosal lupus, lupus erythematosus tumidus, chilblains lupus, discoid lupus/lichen planus overlap. Leucopenia at least once: In the absence of other known causes such as Felty’s syndrome, drugs, and portal hypertension.